This part of the tutorial describes how to setup a simple Ceph client using librados (for C++). This is the file from which librados will read the client configuration. * Errors are not checked to avoid pollution. // Add an xattr to the object. To quickly verify if an object was written or to remove it, use the following commands (e.g., from the monitor node). This part of the tutorial provides some troubleshooting hints that I collected during the setup of my deployments. Other helpful resources are the Ceph IRC channel and mailing lists. A collection of diagnostic commands to check the status of the cluster is listed here. Running these commands is how we can understand that the Ceph cluster is not properly configured. In this example, the disk for one OSD had been physically removed, so 2 out of 3 OSDs were in and up. This is very useful to understand how the cluster is physically organized (e.g., which OSDs are running on which host). This is particularly useful to check clients operations (e.g., if new pools were created). Log files in /var/log/ceph/ will provide a lot of information for troubleshooting. Each node of the cluster will contain logs about the Ceph components that it runs, so you may need to SSH on different hosts to have a complete diagnosis. If this operation times out without giving any results, it is likely that the firewall (or network configuration) is not allowing the nodes to communicate. Another symptom of this problem is that OSDs cannot be activated, i.e., the ceph-deploy osd activate <args> command will timeout. Ceph monitor default port is 6789. Ceph OSDs and MDS try to get the first available ports starting at 6800. Depending on your security requirements, you may want to simply allow any traffic to and from the Ceph cluster nodes. Without going for fine troubleshootings and log analysis, sometimes (especially after the first installation), I’ve noticed that a simple restart of the Ceph components has helped the transition from a HEALTH_WARN to a HEALTH_OK state. Unfortunately, a simple restart will be the solution in just a few rare cases. More troubleshooting will be required in the majority of the situations. If this warning is reported (even if the message is not an error), the Ceph cluster will probably not reach an healthy state. The solution to this problem is to use exactly the same names for the hostnames (i.e., the output of hostname -s) and the Ceph node names. and the result of the command hostname -s, all should have the same names for a certain node. I’ve found that most of my problems with Ceph health were related to wrong (i.e., unfeasible) replication policies. This is particularly likely to happen in test deployment where one doesn’t care about setting up many OSDs or separating them across different hosts. The visible effect when running diagnostic commands is that PGs will be in wrong statuses. CASE 1: the replication level is such that it cannot be accomplished with the current cluster (e.g., a replica size of 3 with 2 OSDs). what crush_ruleset 0 is about. In the example below, we can observe that this rules says to replicate data by choosing the first available leaf in the CRUSH map, which is of type host. If not enough hosts are available, then the application of this rule will fail. from where we can not its id. Ceph is one of the most interesting distributed storage systems available, with a very active development and a complete set of features that make it a valuable candidate for cloud storage services. This tutorial goes through the required steps (and some related troubleshooting), required to setup a Ceph cluster and access it with a simple client using librados. Please refer to the Ceph documentation for detailed insights on Ceph components. In a minimum Ceph deployment, a Ceph cluster includes one Ceph monitor (MON) and a number of Object Storage Devices (OSD). Administrative and control operations are issued from an admin node, which must not necessarily be separated from the Ceph cluster (e.g., the monitor node can also act as the admin node). Metadata server nodes (MDS) are required only for Ceph Filesystem (Ceph Block Devices and Ceph Object Storage do not use MDS). WARNING: preparing the storage for Ceph means to delete a disk’s partition table and lose all its data. Proceed only if you know exactly what you are doing! Ceph will need some physical storage to be used as Object Storage Devices (OSD) and Journal. As the project documentation recommends, for better performance, the Journal should be on a separate drive than the OSD. Ceph supports ext4, btrfs and xfs. I tried setting up clusters with both btrfs and xfs, however I could achieve stable results only with xfs, so I will refer to this latter. if parted complains about alignment issues (“Warning: The resulting partition is not properly aligned for best performance”), check this two links to find a solution: 1 and 2. The ceph-deploy tool must only be installed on the admin node. Access to the other nodes for configuration purposes will be handled by ceph-deploy over SSH (with keys). Each Ceph node will be setup with an user having passwordless sudo permissions and each node will store the public key of the admin node to allow for passwordless SSH access. With this configuration, ceph-deploy will be able to install and configure every node of the cluster. NOTE: the hostnames (i.e., the output of hostname -s) must match the Ceph node names! Administration of the cluster is done entirely from the admin node. 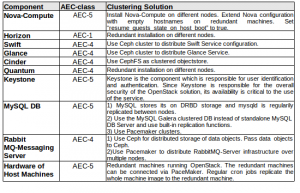 Install ceph in all the nodes of the cluster. Use the --no-adjust-repos option if you are using different apt configurations for ceph. NOTE: you may need to confirm the authenticity of the hosts if your accessing them on SSH for the first time! When deploying OSDs, consider that a single node can run multiple OSD Daemons and that the journal partition should be on a separate drive than the OSD for better performance. 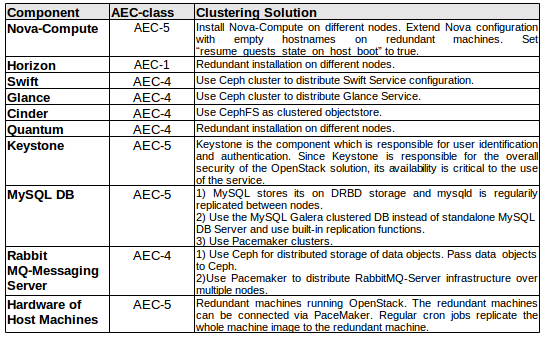 Now we need to copy the cluster configuration to all nodes and check the operational status of our Ceph deployment. If, at this point, the reported health of your cluster is HEALTH_OK, then most of the work is done. Otherwise, try to check the troubleshooting part of this tutorial. There are useful commands to purge the Ceph installation and configuration from every node so that one can start over again from a clean state. Before getting a healthy Ceph cluster I had to purge and reinstall many times, cycling between the “Setup the cluster”, “Prepare OSDs and OSD Daemons” and “Final steps” parts multiple times, while removing every warning that ceph-deploy was reporting.